Perth Metro Charter Central Firebirds hasn't added a story. Welcome to the Perth Metro Charter Central Firebirds Little League Baseball Team. The Firebirds are heading to the Australian Little League Baseball Championships in Lismore, New South Wales. The Charter team, heading to Lismore consists of 13 dedicated 10-12 year old children and 5 team officials. The Little League Baseball players chosen are from the Willetton, South Perth and Kenwick Baseball clubs. 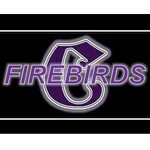 The players have all worked extremely hard to be selected for the Central Firebirds Charter team. In order to attend the Australian Championships, a significant financial burden is placed on the participating children’s parents. This year the Central Firebirds need to raise $40,000 or a ballpark figure of $3000 per player to be able to finance the trip to the Australian Championships starting on 7/6/17 and finishing on the 12/6/17. Please help these children achieve their dream of representing Western Australia at the Australian Little League Baseball Championships in June 2017. Perth Metro Charter Central Firebirds hasn't posted any updates yet. Perth Metro Charter Central Firebirds is managing the funds for this campaign.